Dr. Keri Baacke is a board-certified OB/GYN and maternal-fetal medicine physician with AdventHealth Medical Group’s high-risk pregnancy team in Orlando and Celebration. She joined our group from Tampa, where she was a perinatologist affiliated with AdventHealth Tampa and other noted South Florida Hospitals. Prior to that time, she served as a flight commander and staff perinatologist with the US Air Force in Biloxi, MS, retiring with the rank of Lieutenant Colonel. 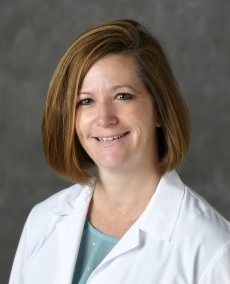 Dr. Baacke earned her medical degree at the University of South Carolina, where she graduated with honors, and completed her internship and OB/GYN residency at Wright Patterson Air Force Base/Wright State University in Ohio, capping her tenure as Administrative Chief Resident. She went on to complete a prestigious maternal-fetal medicine fellowship at the University of Florida in Gainesville.